A young trainee auditor has won an all-expenses paid trip to Paris after being named Manchester’s Apprentice of the Year by social mobility charity, Leadership Through Sport & Business (LTSB). 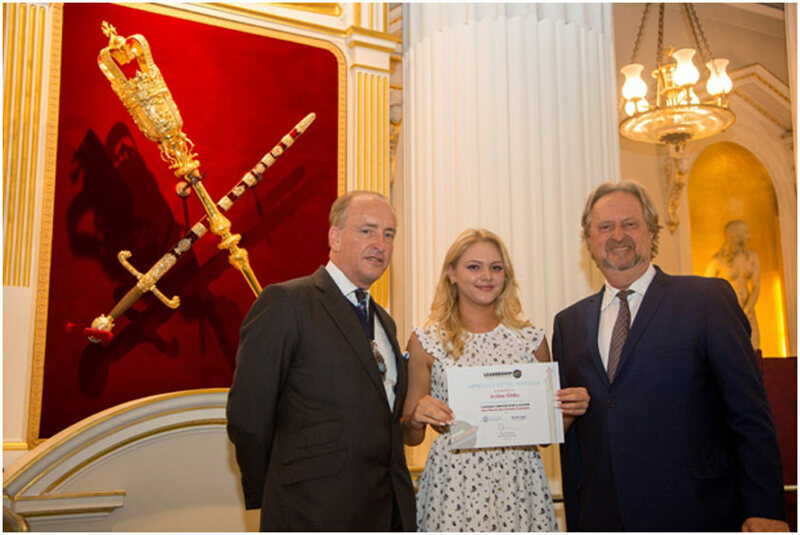 Amber Gibbs, 20, was presented with the award by the Lord Mayor of London, Charles Bowman, and LTSB Chairman, David Pinchin, in a glamorous graduation ceremony held at Mansion House, London also attended by friends and relatives. Amber says her life was transformed when she was encouraged to join the apprenticeship scheme, Leadership Through Sport & Business (LTSB). The pioneering programme, which helps young disadvantaged people secure top jobs in business and finance with blue chip companies, helped Amber land an apprenticeship after she finished her A-Levels. Now having landed a dream job with ‘big four’ accountancy firm, EY, Amber wants to encourage other youngsters to follow suit as she feels schools should offer an alternative to university. The initiative – supported by the Manchester City Foundation – provides an alternative to university by offering a clear career pathway for 16 – 21-year olds interested in a career in finance. LTSB encourages the development of leadership skills by arranging for apprentices to lead coaching sessions at the Manchester City Foundation, which was a personal highlight for Amber. In light of the apprentice levy that reduced the amount of apprenticeship opportunities, the responsibility to create career pathways for school-leavers has fallen to initiatives like LTSB. He worked for accountancy firm PwC for 30 years, believes accountancy is a “brilliant qualification” and pointed out that one-in-five FTSE 100 CEO’s have a qualification in accountancy. Pinchin launched LTSB in 2011 after a successful career in the city where he co-founded brokers Tradition Financial Services in 1985. 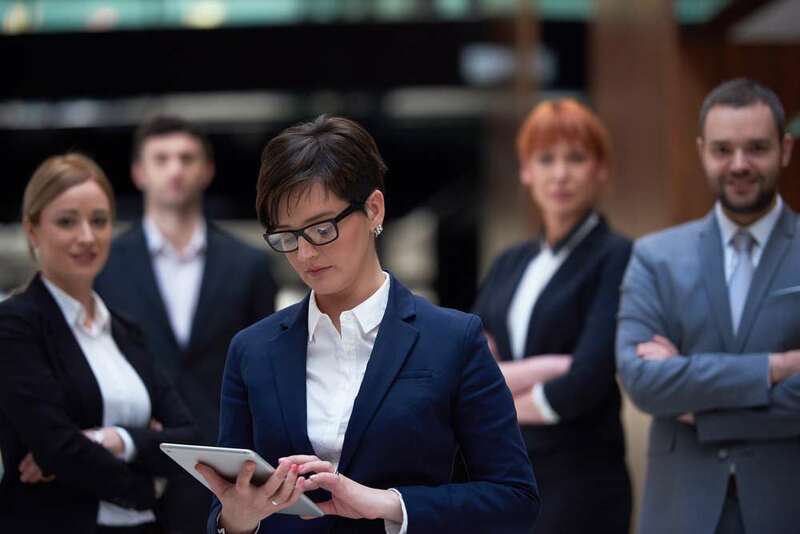 If you or someone you know is aged 16-21 and hungry for a career in business and finance with a major firm, but don’t have the social capital to find success on your own, then LTSB wants to meet you. For more info, email [email protected] or visithttps://www.leadershipthroughsport.org/join-the-programme/ and apply now!